With two small kids, I don’t have a lot of time on my hands, but I do try to keep at least one shop project going for me to turn to during my odd minutes of free time. Garage time helps keeps me sane. I just recently finished my restoration of a Goodell-Pratt no. 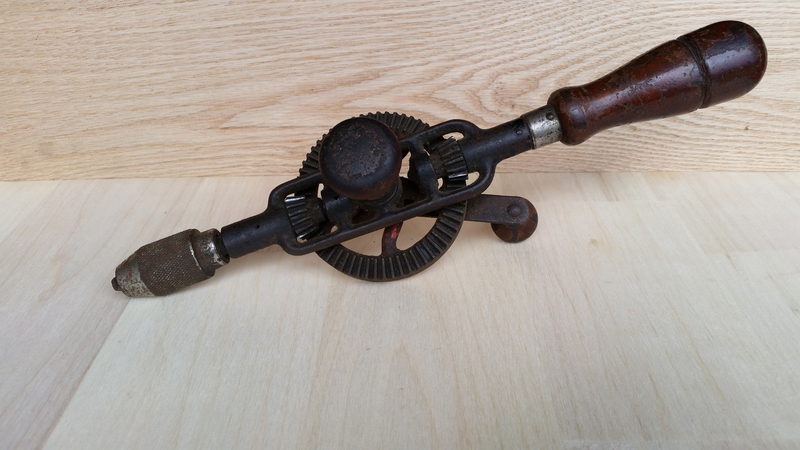 5 1/2 B hand drill, so I was scouting around for something to take its place. Last week, I located a(nother) Millers Falls no. 5 that will be my next restoration project. I already have one, so one of them will likely be going to make room for the other. I’ve been meaning to try restoring one and reselling it to see what I can get for one, so this might be the one I try to move. We’ll see. Does the chuck appear to operate? It’s not the end of the world if it doesn’t, because with a soak in a penetrating oil, some wire wheel time, a little polishing, and new springs, a stuck chuck (see what I did there?) can be repaired as good as new. Always provided it arrives on your bench will all the teeth and other pieces. I also try to avoid chucks with really buggered up knurling, which I can’t fix. Ideally, the seller will indicate that the chuck opens and closes and you’re gold. What kind of wood is the main handle made of? It looks pretty dark under there. I’m hoping for a tropical hardwood, rather than the mahogany-finished domestic hardwood, but we shall see. I’ve been wrong before. 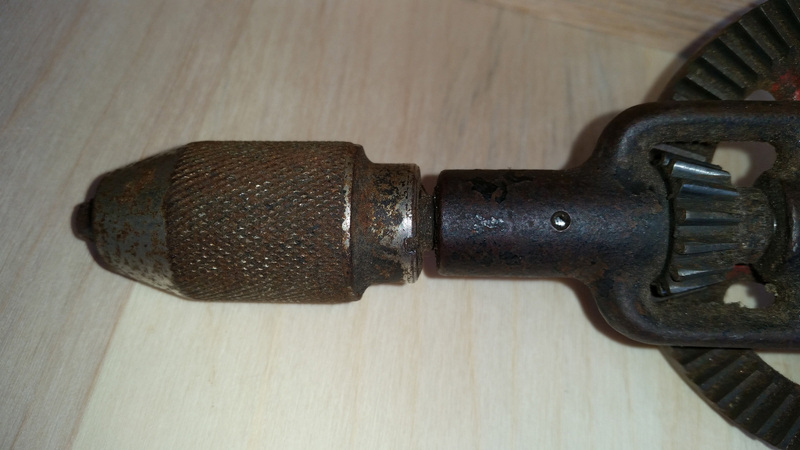 Is the crank handle a rusty mess? They’re often plated, and while you can clean them up, they’re a focal point on drills, because the maker’s marks are usually stamped there. If the handle is ugly, even after cleaning and polishing, it will be noticed. Is there a side handle? Side handles were removable and are frequently missing as a consequence. It’s not the end of the world (a lot of folks don’t use them), but for a complete restoration, it’s good to have one, since they’re somewhat difficult to locate individually. The poor finish, rust, and lost paint are good things in my view. They lower the value of the drill in the casual observer’s eye, but they are relatively simple to remedy if you have the time. Really, this drill is complete, and with a good cleaning, it would probably be a functional user as-is. But I see greater things in this drill’s future. Besides being dirty and gunked up to the point it doesn’t turn smoothly, this drill really isn’t in bad shape. All parts are present and accounted for and nothing is broken. Side handle removed. 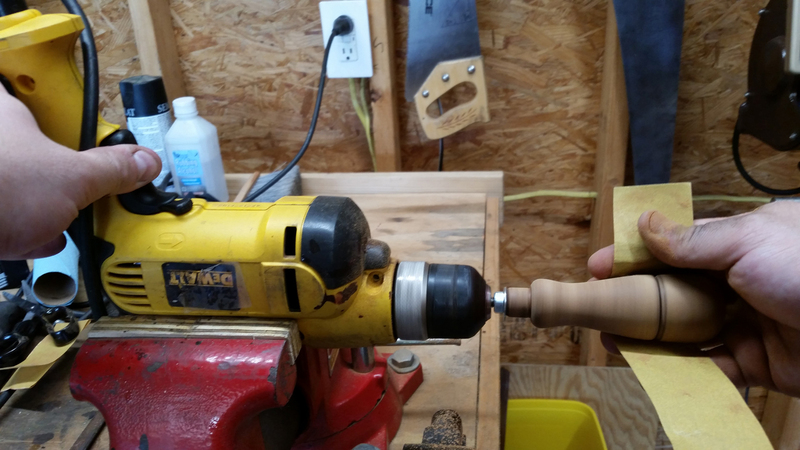 This is one dirty drill. 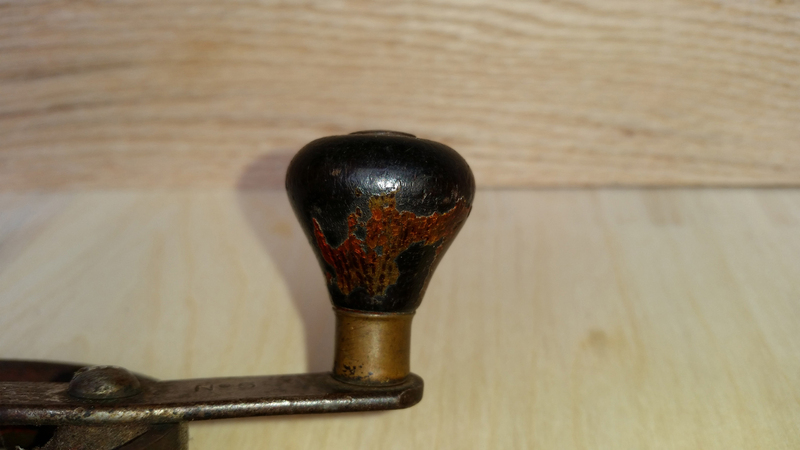 The crank handle is in pretty decent shape, just a little rusty. 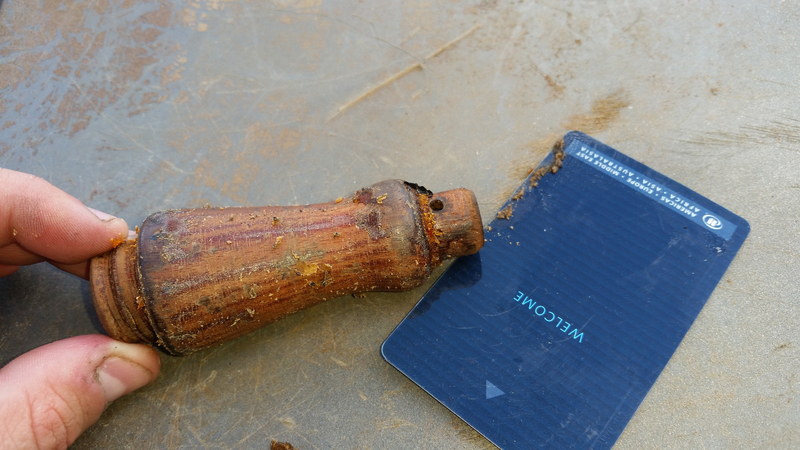 The main handle is intact with no cracks, but the finish is pretty worn out. 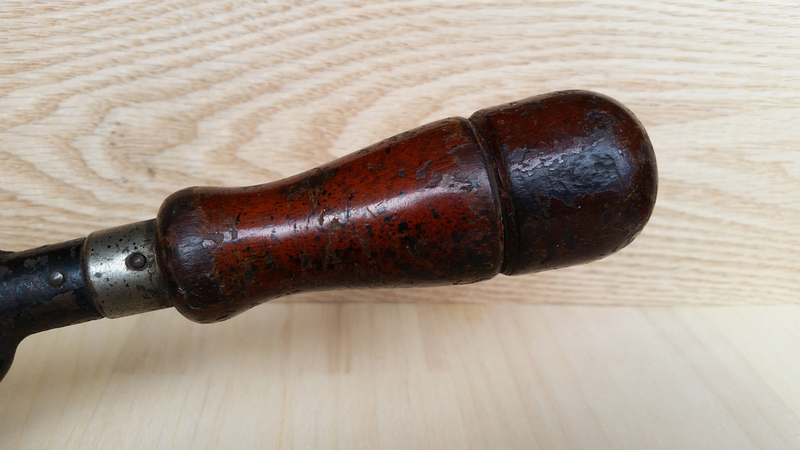 The side knob is present (they’re often missing and are hard to locate), and while the finish is rough, the wood is intact. 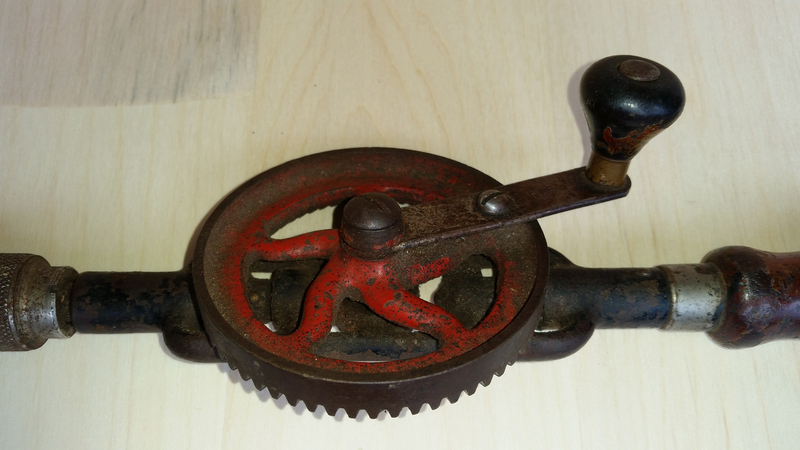 Crank handle. The finish is mostly gone, and I don’t like either the appearance or the feel of this knob. It spins freely, though, which is a plus. The chuck is rusty and gunked up. While it is able to open and close, it sticks and is hard to turn. The good news is that the springs appear to be in good shape, however. BE AWARE: These no. 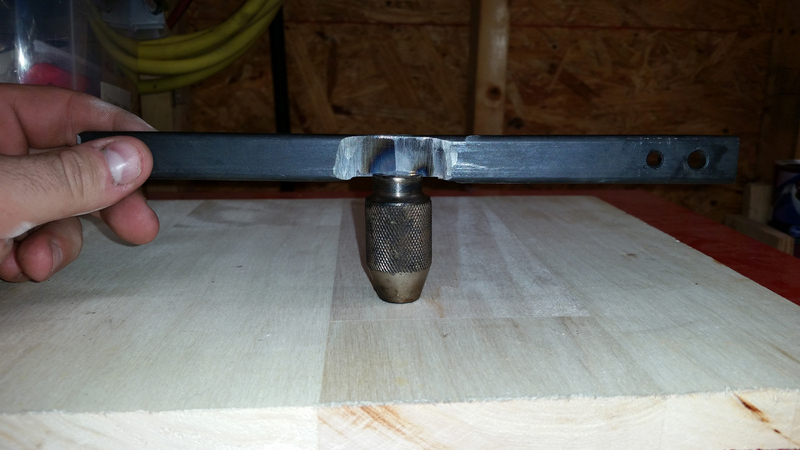 5 drills have a tiny thrust bearing in the frame where the chuck spindle terminates. 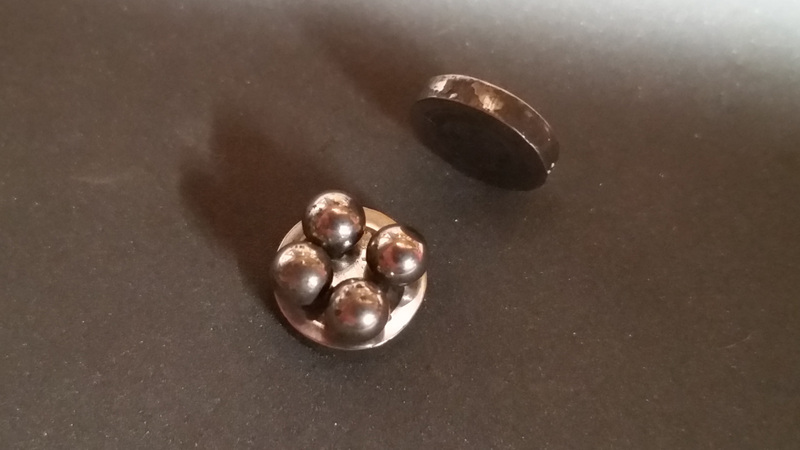 When you pull the spindle free, the two bearing runs and the 4 ball bearings are free to fall out onto your floor, where they will disappear into hammerspace. This thrust bearing is located in the frame at the termination (opposite the chuck) of the chuck spindle. There’s nothing holding it in place once the spindle is removed, so take whatever precautions you deem necessary not to lose the minute parts. Don’t ask me about crawling around on the garage floor amongst the pill bugs (living and dead) looking for lost ball bearings. I’ll deny it. Ok, now we can proceed. A 1/4″ long bolt fits through the handle, and a flat washer and hex nut secure it in place, allowing me to chuck it in the electric hand drill. A drill press would work too. I sanded with 220, then went straight to 600 for a smooth as silk finish. The top cap was merely threaded on and I was careful with the drill direction so it didn’t come flying off. 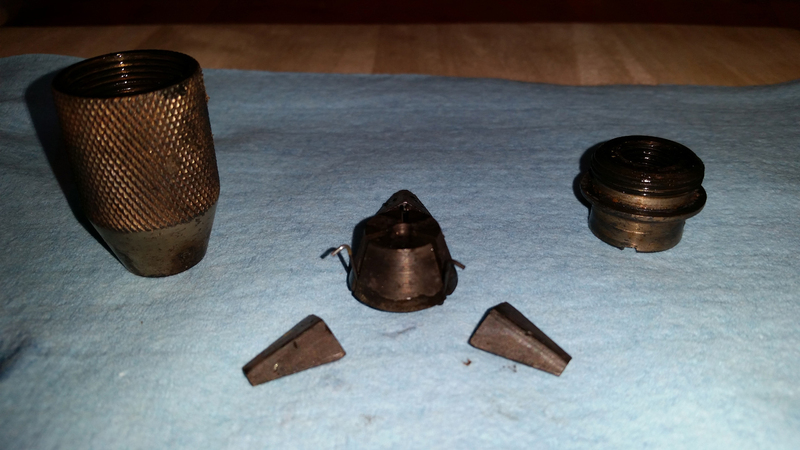 The chuck was a real pain to disassemble. It was rusted and gunked shut so tight you’d swear it was welded on. The notches at the top are supposed to help you unscrew the case, but it just wasn’t turning. I tried all my tricks and finally, I had to hit the chuck with a propane torch, then chill the male screw cap in cold water (repeat X 20), in addition to repeated soaks in ‘snake oil’ (my nickname for homemade penetrating oil composed of transmission fluid + acetone). 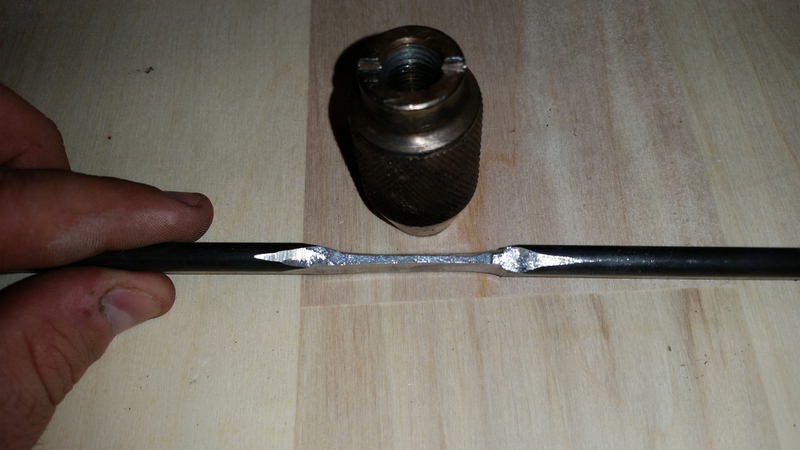 I finally resorted (after the heating and snake oil soaks) to building a tool out of 1/4″ steel bar to fit snugly into the opening, allowing me to finally crack the chuck open. I was determined that this chuck would submit to my will. Once open, I could see all the chuck’s guts were dirty and a bit rusty. They need to be polished and smooth in order to slide properly. First, I ran the chuck through my wire wheel on the bench grinder (not shown). Next, I mounted the de-rusted chuck in my electric hand drill to polish it. 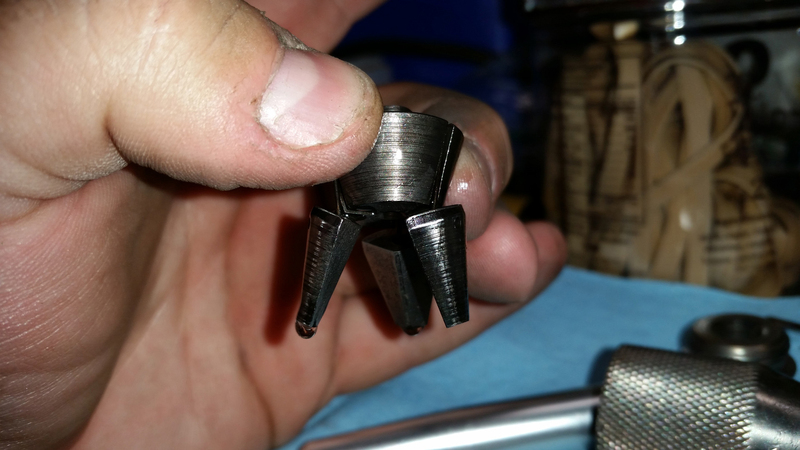 I cut off the unthreaded length of a 1/4″ bolt and placed it in the jaws of the reassembled chuck. 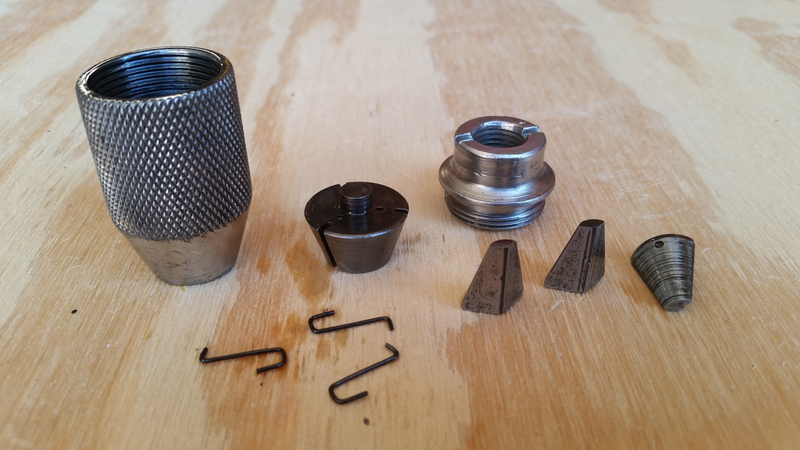 I reinserted the chuck spindle (extending to the right) and tightened the bolt shank in, then used the bolt shank to attach the assembly to the electric drill. I polished it up to 600 grit. 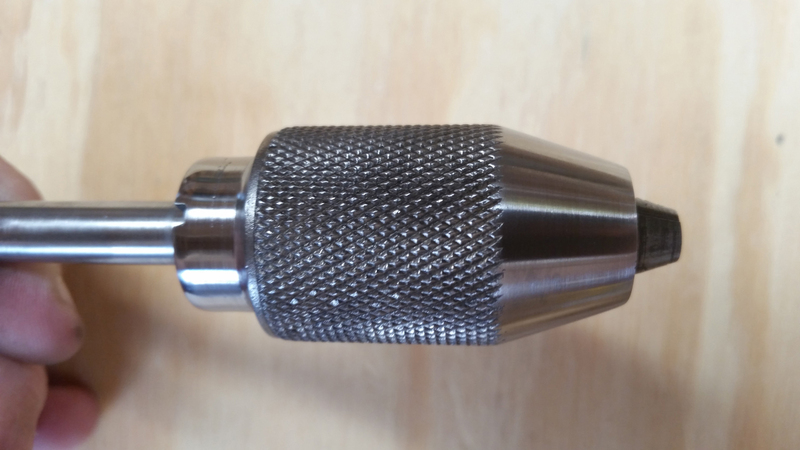 I polished the chuck spindle too – why not? Now, tell me that isn’t an improvement. I also polished the interior with a dremel tool and sanded the jaws. Jaws and springs installed in the traveler (not sure what the proper term for it is). All this just tucks carefully down into the chuck body, and the cap screws in, holding it all in place. I liberally oiled everything with mineral oil. That’s all for the moment. In the next installment, the wood parts will be finished and the frame and wheel will be stripped and repainted. Nice Job! I would like to get one already restored like that, to actually put it to use. Are you working on any more of them? 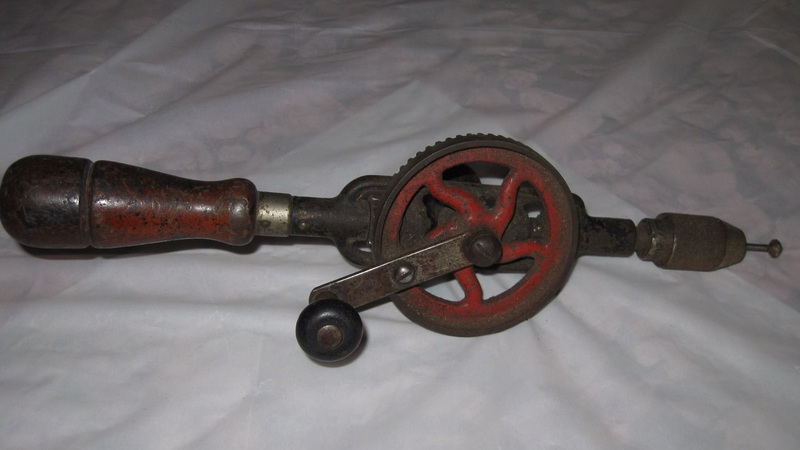 This one sold on ebay, but I have a few more hand drills in the wings waiting on me to have time to restore them. They are great for small, precision drilling tasks! Thanks for reading! Dear Michael. I have my Granfather’s MF (less than) 5. It has a shorter chuck with the unsprung jaws than you #5. We built a plywood dinghy back in the 60s and the original crank had to be replaced and the job was an extremely crude one. 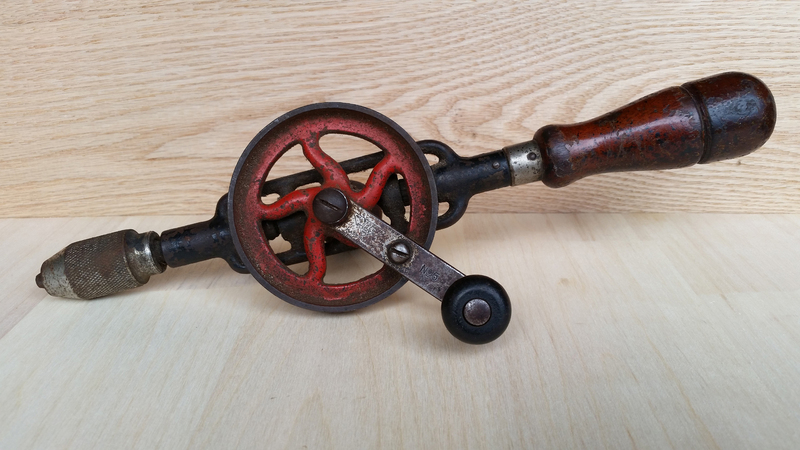 The hollow handle cap is missing and I am keen to see how I can get the shaft that holds the top pinion gear out of the frame. Is it just a push fit held in position with the threaded shaft that holds the top handle? Perhaps it just needs a thorough degreasing. I bought a MF #5 from over your way and was anticipating using the crank on my older one. Will have to see how it goes. if you have any advise on getting the top pinion gear out I would appreciate it. Regards and thanks for you inspirational posts. Thanks for visiting and for your kind words. If you will look at No. 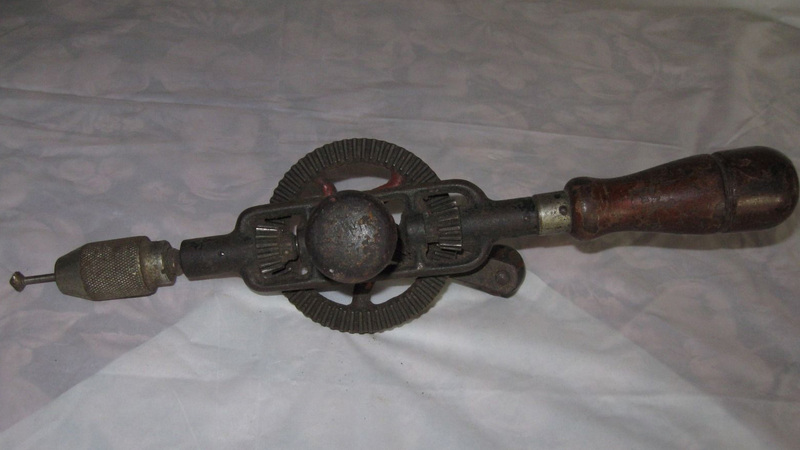 5 hand drill restoration #2 (part 3 of 3), I have an exploded parts photo that may clarify how the upper pinion gear is attached to the frame. There are two pins keeping the threaded rod from backing off, at the frame and the main handle. 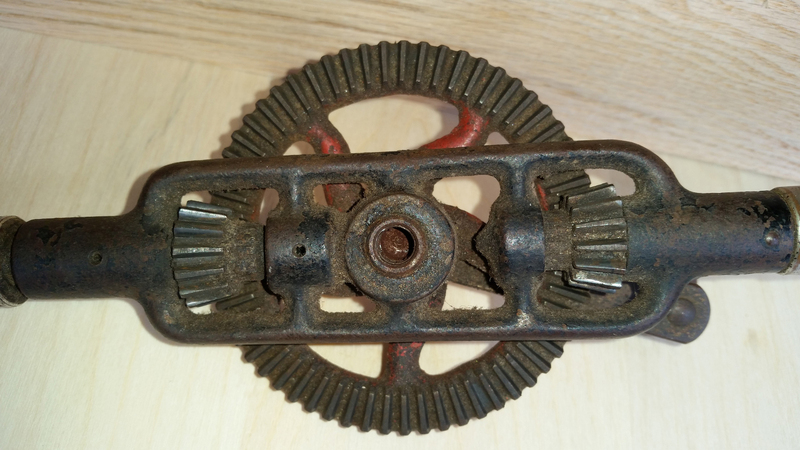 Once the pins are driven out and the threaded rod is removed, the pinion gear will be riding on a smooth rod in the frame. The photo should make it clear. Your non-No. 5 drill might be a bit different, but that is how the No. 5 will be built. Good luck! Come back and tell us how it went! 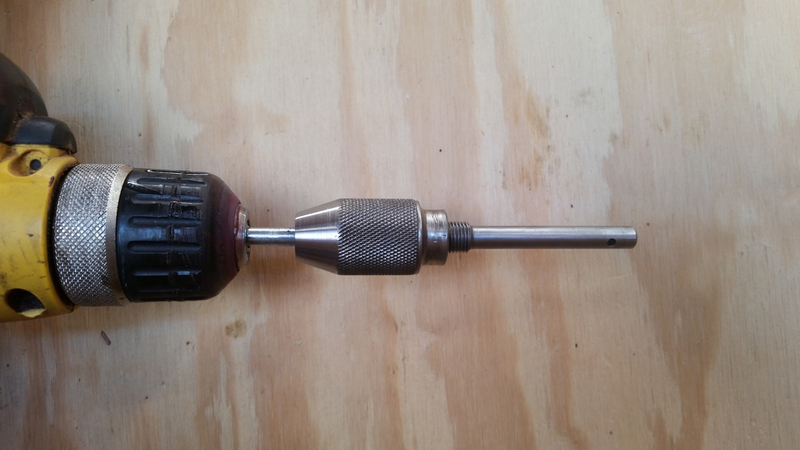 I am working on a #5 Miller Falls hand drill. Disassembled everything except the upper pinion. I removed the top handle and the threaded stud that attaches the handle to the main frame. I see from your photo of the parts, it is a smooth short rod. Mine wont fall out, and it wont budge when I try to lever a thin knife blade in the narrow space between the pinion and the frame. 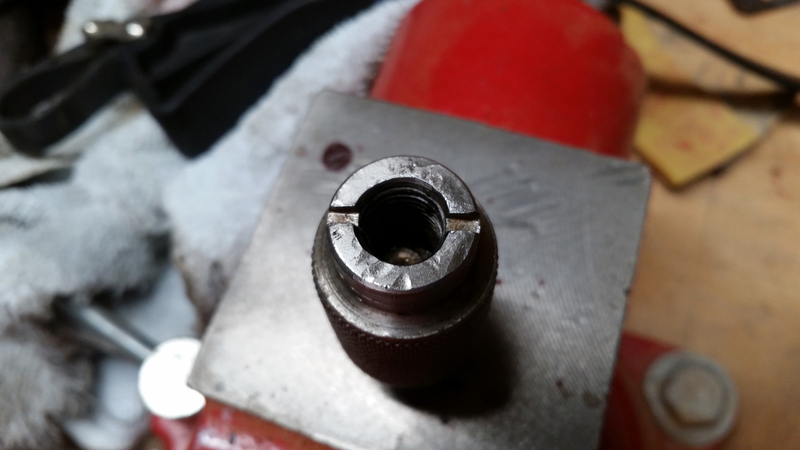 I had elaborate plans of drilling and tapping the visible end of the pinion rod and then make an extractor with a long machine screw, nuts and washers. But the pinion spins freely, and I can tape the pinion and spray the frame with a new coat of paint, so I am leaving it in. Taking apart the chuck was a pain too. Thank you for your posted photos and description. Your blog helped orient me on the little project. Rob, I’m very sorry to just now be responding. I get a lot of spam comments, and yours got lost amongst them. Wow, yes, sometimes they can be a real pain to get apart. Rather than break them, or driving yourself mad, sometimes your approach of just masking off what you can is all your can do. 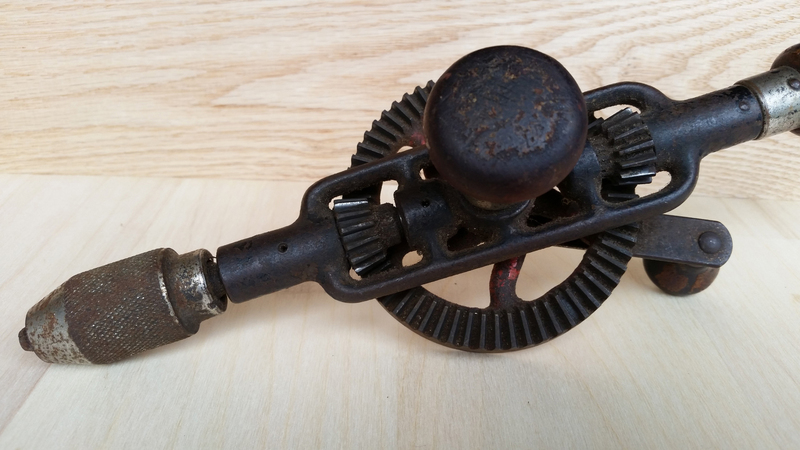 You can sometimes try soaking in oil and giving it a daily tappy-tap-tap for a few weeks, but if that rust is swelling up your clearance to the point it won’t slide free, you may just be out of luck. Glad my blog was useful to you! Sorry you had trouble with part of the disassembly. How did you remove the pins? Punch and hammer? That’s usually what I do. Just be sure to size the punch small enough, be aware that some pins might be peened over and not want to come out, watch for burrs (they’ll slice you), and go gentle and slow. Good luck!